Model transformations are mostly developed from scratch. For increasing development productivity as well as quality of model transformations, reuse mechanisms are indispensable. Although numerous mechanisms have been proposed, no systematic comparison exists making it unclear, which reuse mechanisms may be best employed in a certain situation. 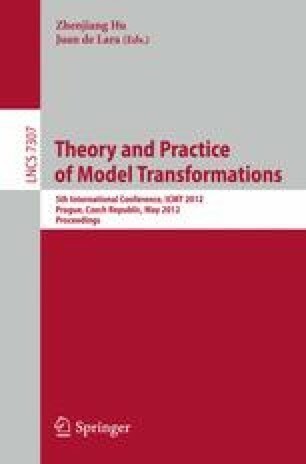 Therefore, this paper provides an in-depth comparison of reuse mechanisms in rule-based model-to-model transformation languages and categorizes them along their intended scope of application. For this, a systematic comparison framework for reuse mechanisms is proposed to highlight commonalities as well as differences. Finally, current barriers to model transformation reuse are outlined. This work has been funded by the FWF under grant P21374-N13.